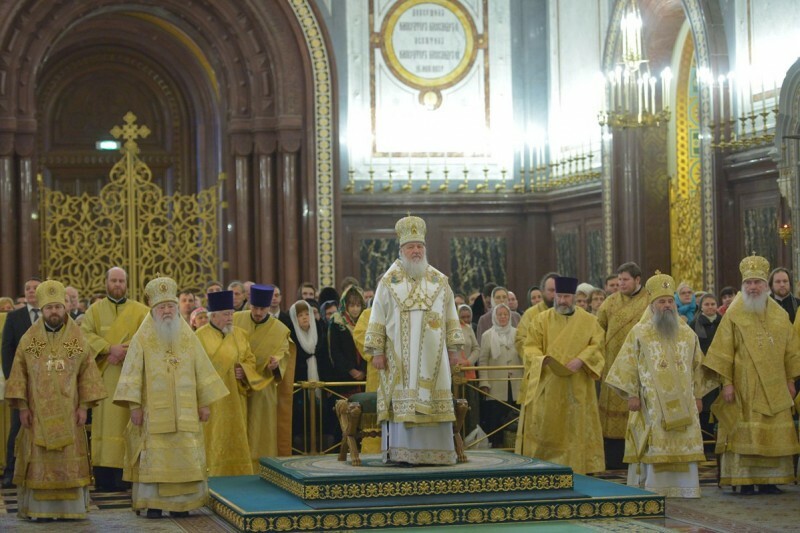 On this birthday, November 20, 2013, His Holiness Patriarch Kirill of Moscow and All Russia celebrated the Divine Liturgy at the Cathedral Church of Christ the Saviour. He was assisted by a great number of hierarchs and high-ranking church officials in holy orders, abbots and Moscow deans and priests. 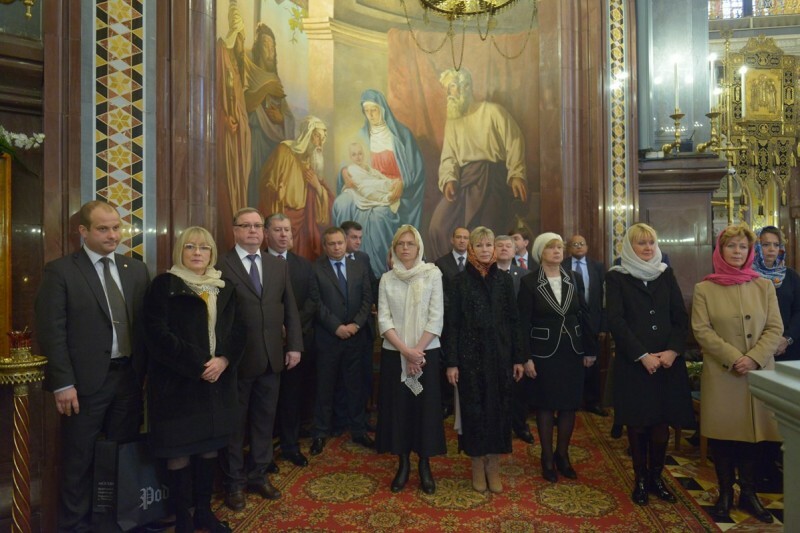 The service was attended by the deputy head of the Presidential Staff A. Beglov, Moscow Regional Governor A. Vorobyev, Minister of Culture V. Medinsky, chairman of the Central Election Committee V. Churov, chair of the State Duma committee for security and opposition to corruption Ms I. Yarovaya, chairman of the State Duma Committee for the CIS, Eurasian integration and relations with expatriates L. Slutsky and other high ecclesial and secular officials, as well as mothers superior of convents, clergy and laity. 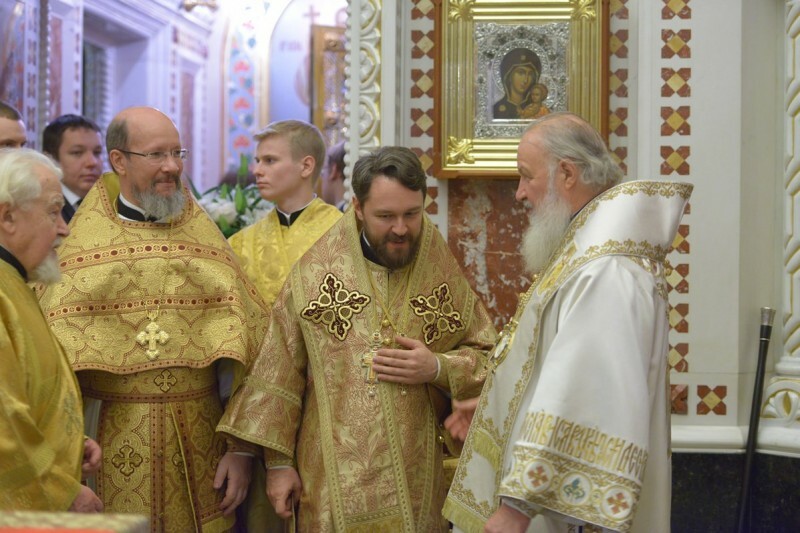 After the liturgy, Metropolitan Juvenly of Krutitsy and Kolomna with a host of hierarchs celebrated a thanksgiving, during which petitions for the health of His Holiness Kirill were lifted up. Metropolitan Juvenaly read out a congratulatory message from the Holy Synod members and presented His Holiness with a copy of the Icon of Our Lady of Kazan and a bouquet of flowers. Patriarch Kirill addressed the congregation with a primatial homily. Then His Holiness received congratulations from the clergy of Moscow.